Welcome to offshore Costa Rica! Costa Rica is a tax haven situated in Central America between Panama and Nicaragua. 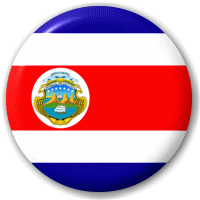 Offshore Costa Rica is a rich and happy country, often called “Latin American Switzerland”. It is the only country in the world where 40% of the territory is occupied by national parks and reserves! There are more than 200 international companies registered and based in Costa Rica. Such success of the offshore Costa Rica is brought by growing sectors such as medical technology, marketing, information and communication technology, software development and outsourcing. In addition, the global competitiveness of the country’s foreign direct investment is increased by the educated and modern human resources. Why register an offshore company in Costa Rica? If you look at the offshore jurisdiction of Costa Rica from a tax point of view, this offshore area is extremely attractive because taxes here are applied to people and companies on a territorial basis. All offshore companies that do not engage in any activities in Costa Rica and do not hold any assets here can avoid all taxes in Costa Rica. In addition, information about the company’s financial position is not disclosed to the authorities of foreign states. Offshore Costa Rica, that has created favorable conditions for businesses as well as great tax incentives, is often called the “American Switzerland”. Resident companies based and trading in Costa Rica are still subject to high taxes. The corporate tax is 30%, but it must be mentioned that for small companies corporate tax rate was reduced to only 10%. However, the profits from business transactions outside of Costa Rica are not taxed. But the most remarkable thing is that that virtually all countries of the world do not consider the companies listed in the offshore Costa Rica as offshore. Offshore zone of Costa Rica does not support offshore regime, but allows companies its offshore operations and those firms can belong only to foreign nationals. In general, Costa Rica offers an excellent opportunity for businessmen in their tax planning decisions and completely legally obtain the right not to pay income tax, as well as for those who want to live abroad at an affordable price. If you would like to register an offshore company in Costa Rica we will provide you with the best solution: fast, professional and at a low price! To buy a cheap offshore company In Costa Rica is now easier than ever before!